Do you facing sudden power cut or system restarting when working with word documents? 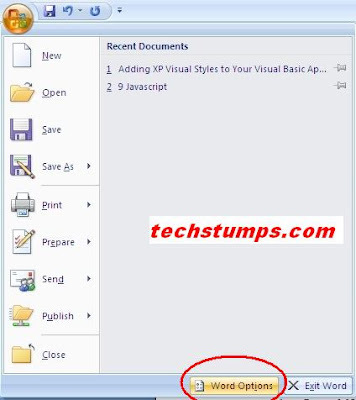 You may forget to save the document while typing or it may be a long time since you last saved that document. Now that’s a very annoying thing for you and even you can’t recover the document completely. Generally Word takes a backup of your documents automatically and it also not enough to get the documents which you have typed fully. 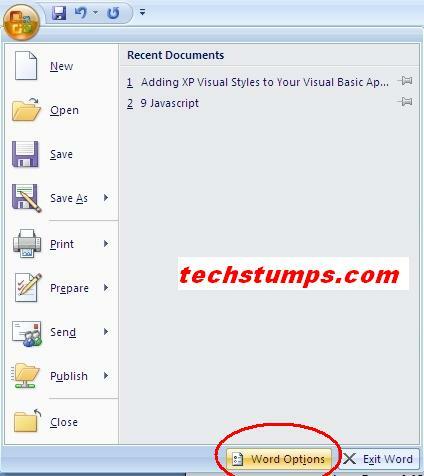 There is an option in Word software to set the Backup frequency of your word documents. You can configure the time to backup the documents as your wish. 1. Open MS-Word and click the Office button at top left side panel. 2. Click the “Word Options” button at the bottom of the window. Now you see a new window with some menus. 3. Select the “Save” tab in left side menu. 4. Tick the check box named “Save AutoRecover information every minute”. Give the time interval after which you want to save the document automatically. For example if you set 5 minutes in that box, your document will be auto saved for every 5 minutes. 5. Also you can set AutoRecover files location to save the files in a specified folder. 6. Now you don’t have afraid of your documents to be missed or corrupted.